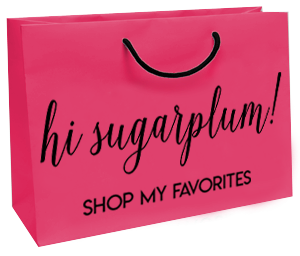 Sugarplum Style, Vol 71 | hi Sugarplum! Cheers to Friday, friends, and the weekend ahead! It was a busy week with school back in full swing and my quick trip to LA (I loved your guesses on my secret project! ), so I’m ready to be still for a moment. Thanks for your love on this week’s Guest Room update and design plan, the latest Summer of Style, and especially yesterday’s post with my sweet babes. I so appreciate all your words of encouragement. But honestly, I had a lump in my throat thinking about your kids, too! Today it’s time for another round of Sugarplum Style, snapshots of my everyday outfits I share on Instagram and Facebook, created by mixing and matching items in my closet. I hope they inspire you to stretch your wardrobe further by mixing up what you already have, and thoughtfully add new things. My knit skirt from the Gibson x Hi Sugarplum Collection is still a heavy favorite…it’s just so chic and comfy. I love it most with a knotted tee. Plus, it’s on sale! 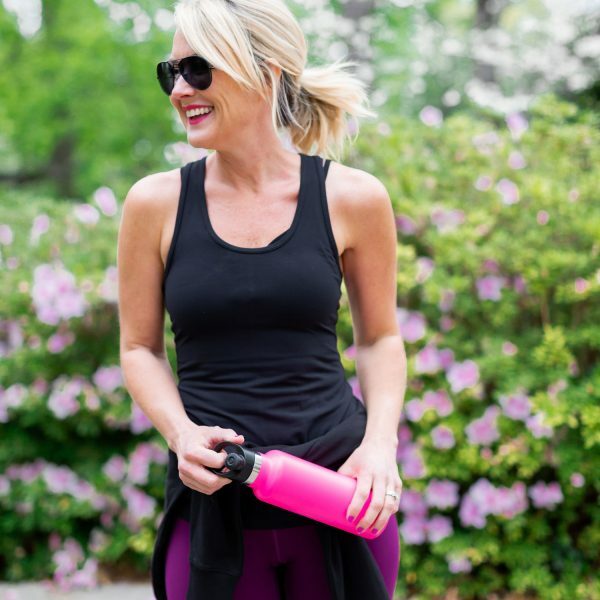 Fit Tip: I’m wearing an XS in both the tee and skirt. This darling floral top is a crisp cotton with fun ruffle sleeves. I love the colors for transitioning to Fall, too. 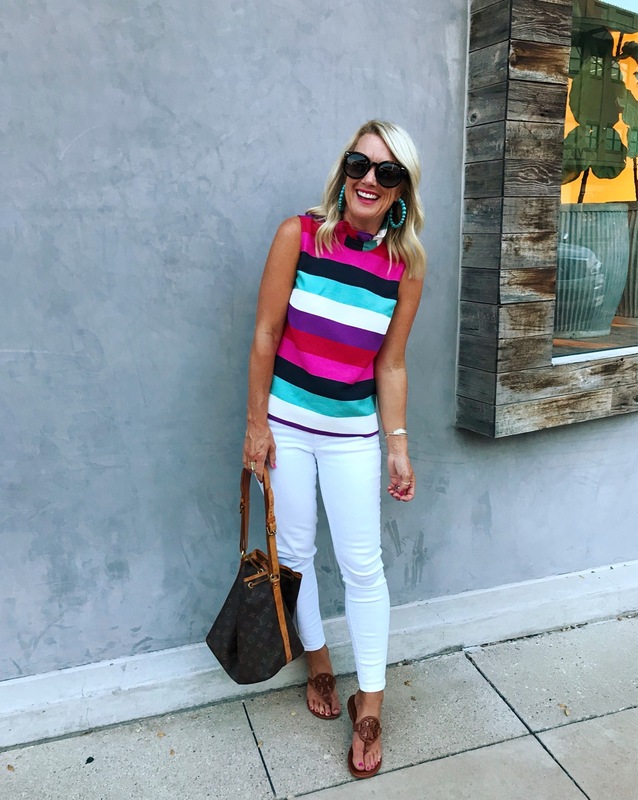 Flashback to our time in Anna Maria (trip recap here)…this tank is one of my closet staples, and on sale for $15! I have it in every color, and love it worn alone and layered under cardigans and jackets. 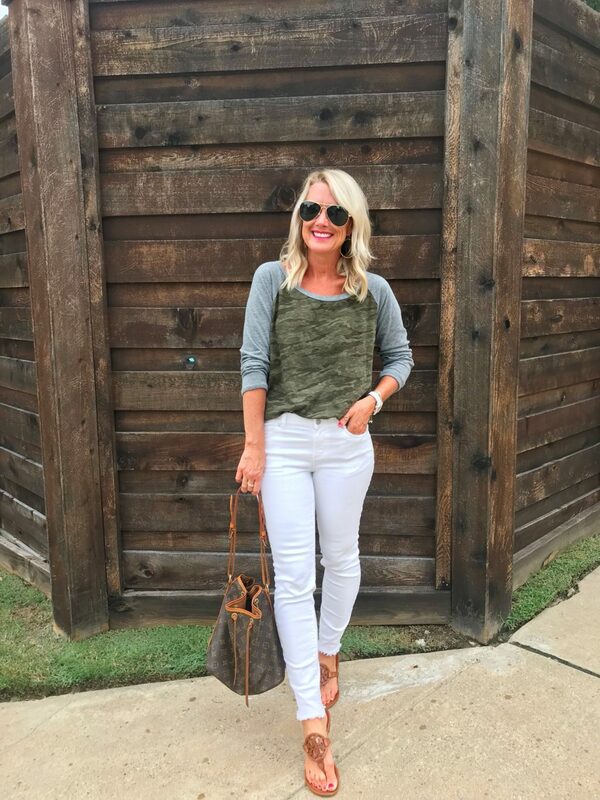 I love easy combos like this in Summer…it will be boots and jeans before we know it! This sweater is on clearance and such a cute fit. Fit Tip: Both are true to size. I wear an XS top and 26 shorts. 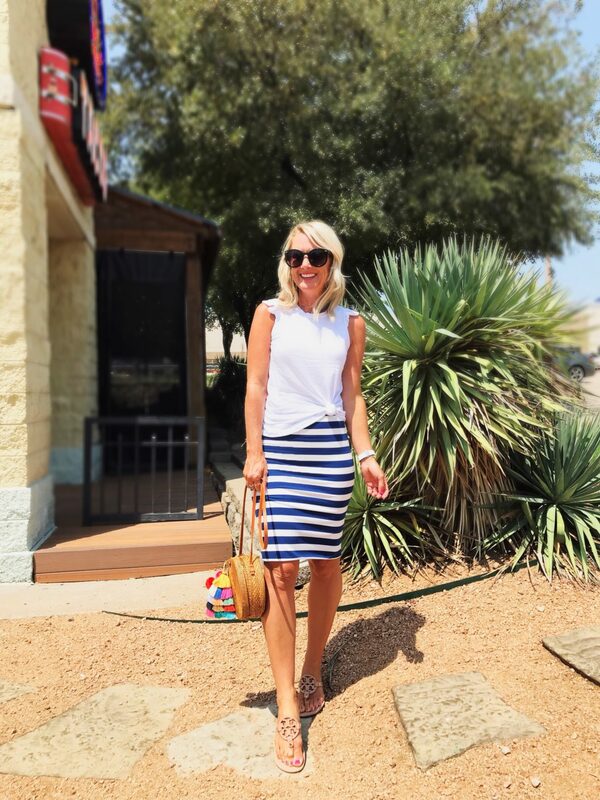 Remember this fun striped halter dress from earlier this Summer? Well now’s your chance to grab it 40% off! The top is a thick stretchy knit, and the bottom a full, crisp cotton. We had a cool down for day, and everyone panicked and pulled out the long sleeves. They don’t come any softer than this baseball style tee! Ruffles and feathers…no wonder I’m smiling like a goof, I couldn’t be happier about this combo! This tee is definitely a fave find from the Anniversary Sale, and these earrings are on heavy rotation now. J.Crew had a huge flash sale on swimsuits last week….we’re talking bikini tops for $15 and one-pieces for $22. (See my full try-on session on my Instagram Storyy.) I post all my fave sales on Instagram and Facebook, so make sure you’re following me there. After a lot of dreaming, planning and scheming, I headed back home from LA in this casual combo…too tired (and happy) to worry much with style. My hotel was an amazing source of inspiration though, do you like posts on great hotels? I love sharing stuff like that if you’re interested. 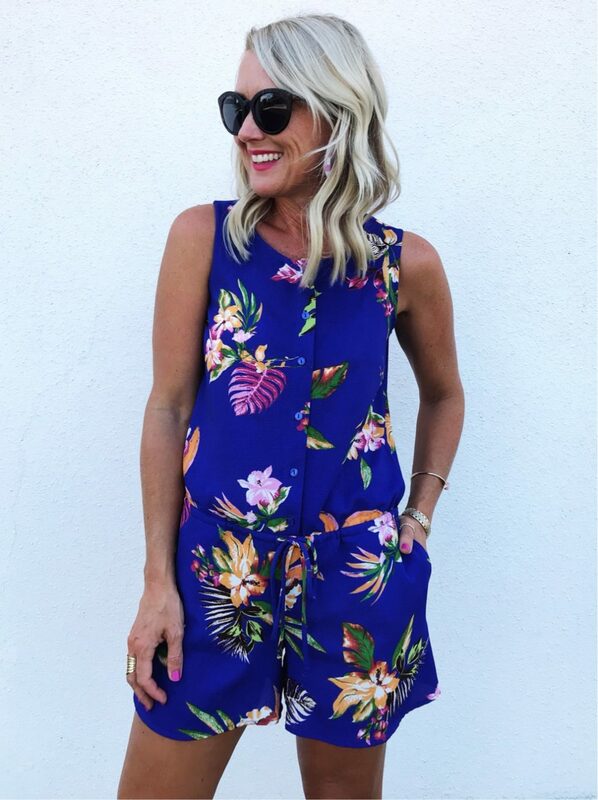 I plan on stretching the life of this romper as far into the season as possible! Just add jean jacket! There’s those feathers again! 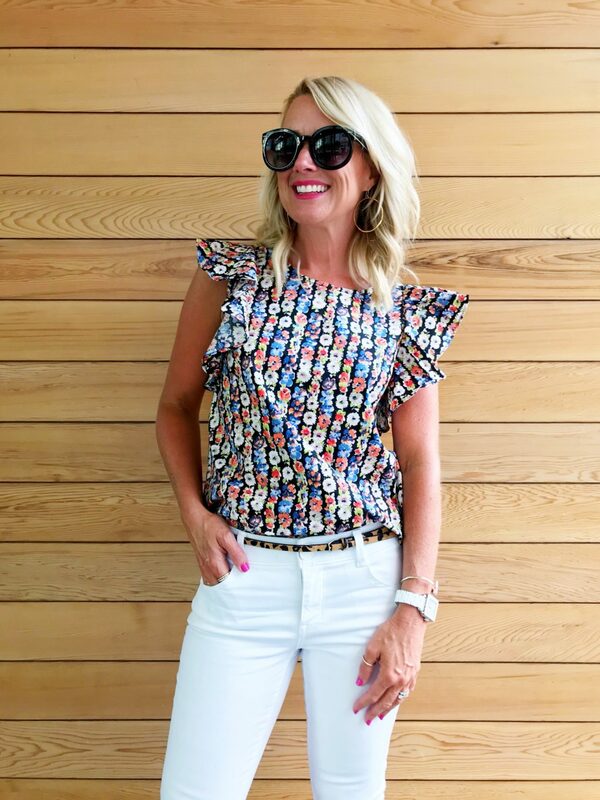 #swoon Happy to see my peplum tee back in stock, and in a ton of colors! Can we all agree this top is too cute for words?!? I mean…those colors! That ruffle collar! Of course it had to be mine! Hanging on to Summer as long as she’ll stay! 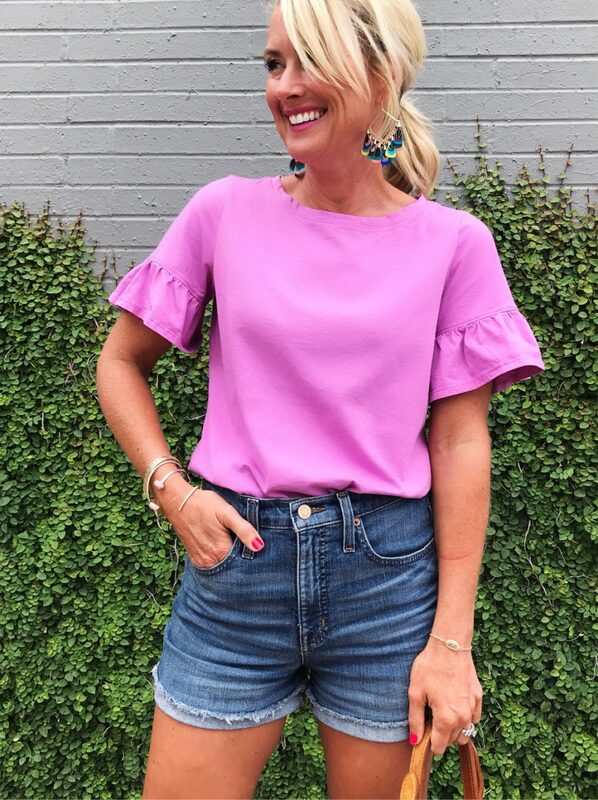 These high-waisted shorts quickly became my favorites of the season…and you can bet I’ll be wearing them with sweatshirts and long-sleeves for months! Wheels up! I loved this knit skirt for a comfy day of travel…but also chic enough to head straight to meetings. And I never travel without a cardigan or jean jacket. 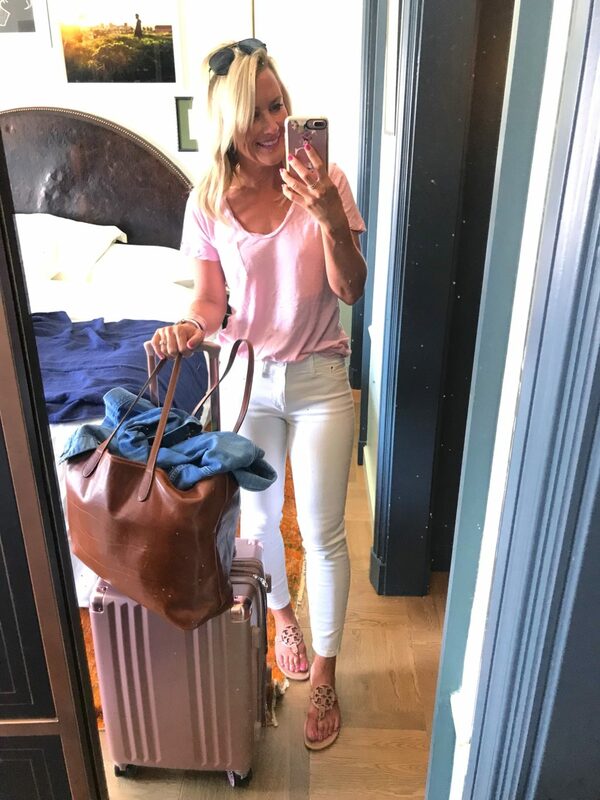 See everything in my carry-on in this post. 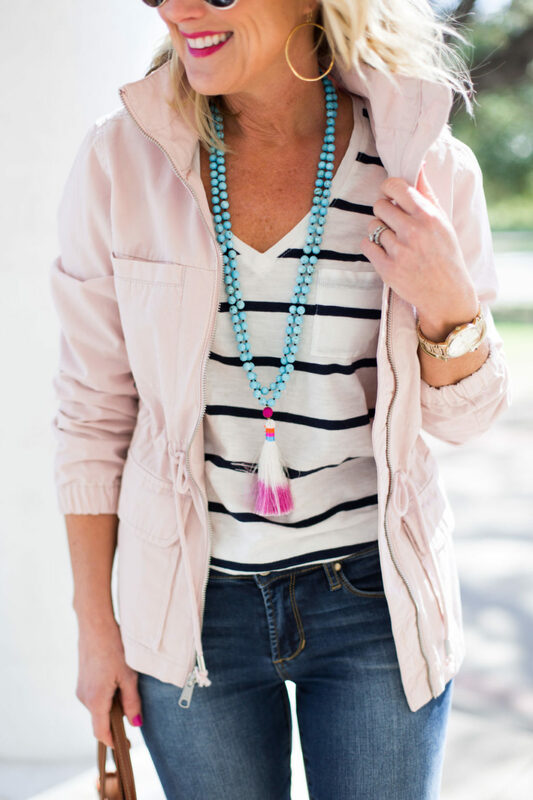 Remember this blush jacket from last year? Well holla because it’s back!! And in a ton of colors and patterns. You won’t find a better utility jacket for the money than this one…I have it in several colors (including camo). And my tassel necklace is still 20% off with code ‘sugarplum tassel’! Salut to Summer!! 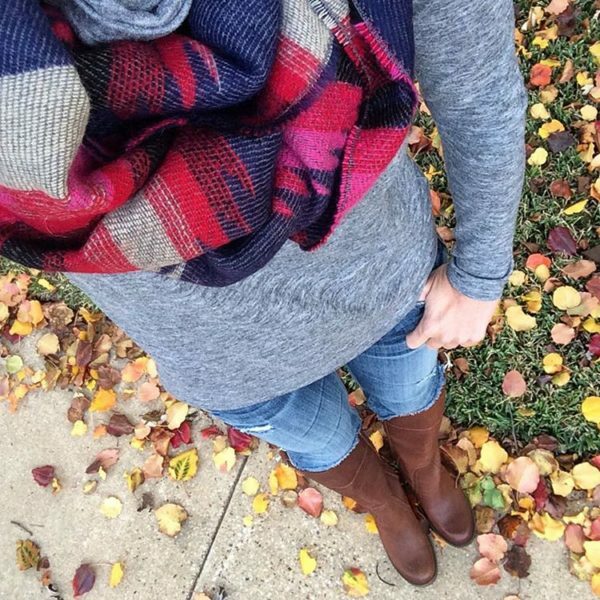 As much as I love boots and sweaters, I’m just not ready to let Summer go just yet! 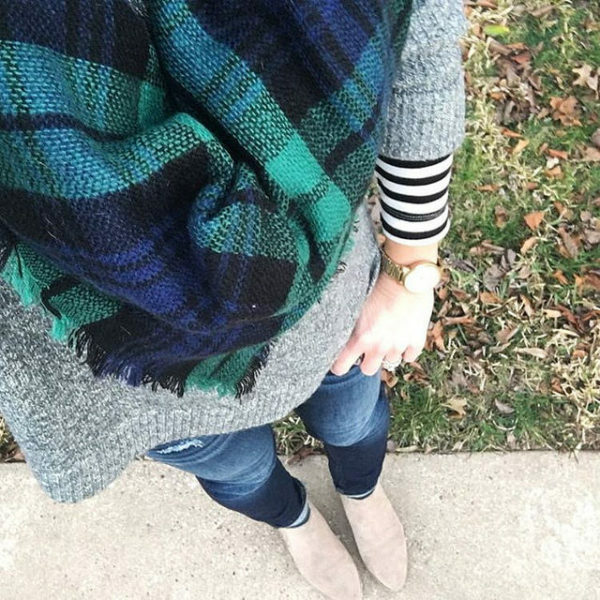 You can catch up with past installments of Sugarplum Style here, or follow my everyday outfits on Instagram. You can also shop my outfits anytime by clicking the Shop My Insta button under my blog header, or in the Shop menu of the navigation bar. See you back here Monday for more fun, and to follow along on our cruising adventure! Happy weekend, lovebugs! U hit a home run w/so many of these summer looks. Wow factor! 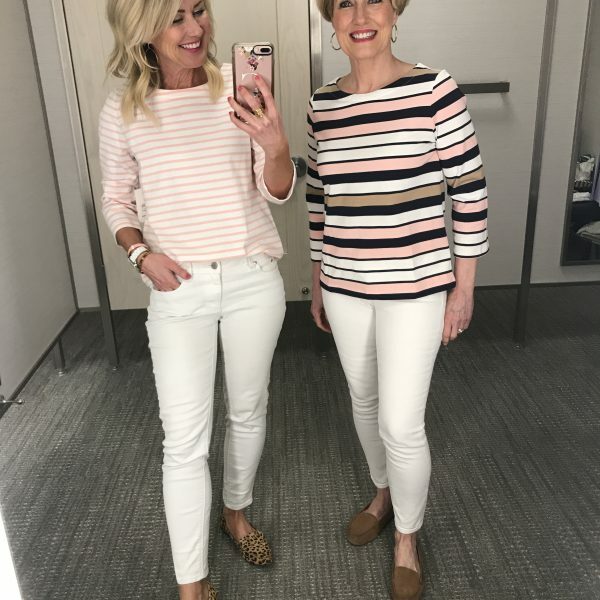 These posts are super helpful for outfit inspiration! Also, I would love to see posts about great hotels! And would find it really interesting if you shared what about the design in the hotel was inspirational to you. Seeing the details that you love makes me more mindful of paying attention to details in the places I visit. What color are your Havaianas Slim Flip Flops? I would also love to see posts about great hotels. 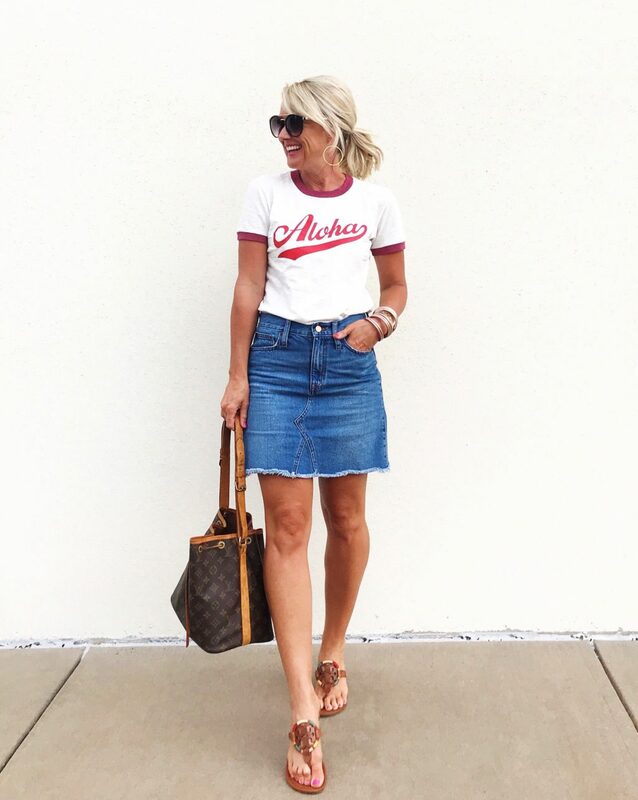 I love your travel posts almost as much as your fashion posts! Just ordered the rose gold bangles; can’t wait to wear them. 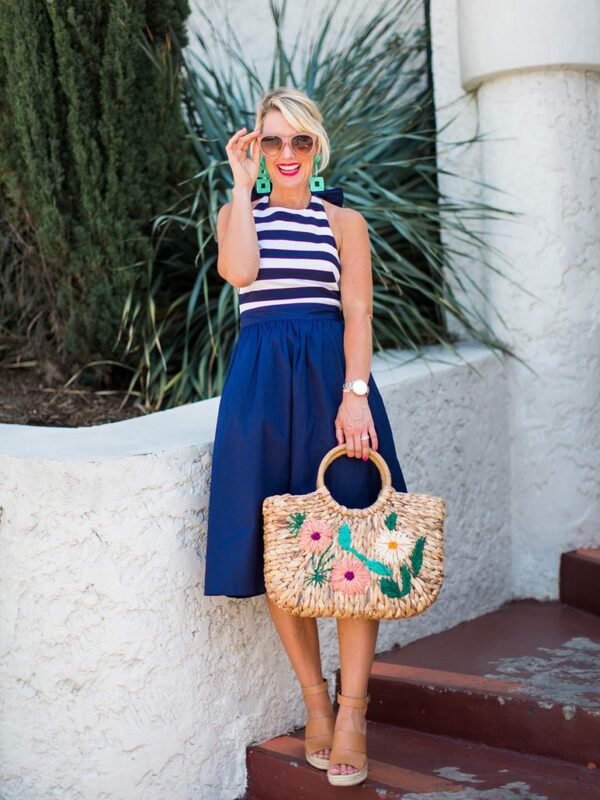 Love the blue striped skirt and blue dress on you. The sandals are beautiful as well. Thanks for sharing. Cassie, you are looking extra fit these days! I see you now have the darker solid Tory sandals. I so appreciated the tip you shared about cleaning the bottoms with make up wipes, so now I want to share a tip with you. I tend to scuff the edge around the toe area. I used a stain pen (from my local craft store) and simply put a dot or two on the rough areas. It worked so well! Just take your sandal in and try to match the color as best as possible.